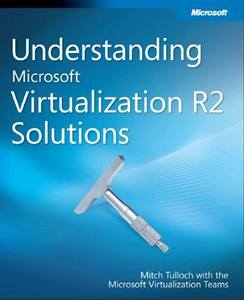 In order to encourage more IT professionals in exploring the latest Microsoft virtualization technologies, Microsoft press is now giving away “Understanding Microsoft Virtualization R2 Solutions” digital e-book in PDF and XPS format, which is an updated version of . This book is authored by Mitch Tulloch, Microsoft MVP and author of the Windows 7 Resource Kit. The Microsoft virtualization technologies which covers in this e-book including Hyper-V and Remote Desktop Services in Windows Server 2008 R2, Microsoft Virtual Desktop Infrastructure, Microsoft Application Virtualization 4.5, Microsoft Enterprise Desktop Virtualization, Windows Virtual PC and Windows XP Mode, System Center Virtual Machine Manager 2008, and Microsoft’s private and public cloud computing platforms. Chapter 3: Local Desktop Virtualization. Chapter 4: Remote Desktop Virtualization.